If you want to own your own business, take control your life, and change the way you work, look no further! There are tons of cleaning franchise opportunities that offer would-be franchisees the chance to start their own business. Cleaning franchises offer owners flexibility and freedom not found in many corporate jobs. Imagine, you’ll never have to go into the office again! Worried about the cost? A cleaning business is one of the least expensive to fund, in part, due to the low overhead required to get started. Whether you’re just starting out in the industry or you’ve worked in the cleaning services space for some time, purchasing a cleaning franchise might be your next best step. The cleaning industry had 51 billion dollars in revenue in 2015 and is expected to grow by 3.2 percent annually through 2019, according to the Freedonia Group. As the economy grows and unemployment continues to drop, there are infinite opportunities for cleaning businesses to flourish! Full Time or Part Time - You Choose! Flexible hours, job security, and the potential to make a lucrative salary — what’s not to love? When you buy a cleaning franchise you can determine how often you want to work, be it part time or full time. 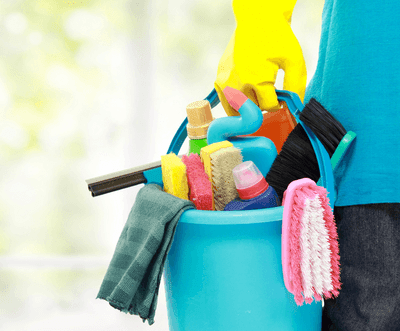 For instance, when you’re first starting out, you may want to use your cleaning franchise as supplemental income until you have acquired enough customers to transition to full time. Or, your part-time cleaning business can stay just that, part-time with no need to expand. Low Cost Why start your business under a mountain of debt? When starting a cleaning franchise, you don’t have to. Some cleaning franchises cost less than $5,000 to start! Buildingstars and Stratus Building Solutions both have startup fees under $5k. With low overhead, you won’t have to worry about putting your profits anywhere but your business and your pocket. Work From the Comfort of Your Home Many cleaning franchises offer franchisees the chance to work from a home office, without the need to rent an office space or build their own. Since you will be providing a service, in a client’s home or office, there is typically no need for a storefront. Some cleaning companies do not even require you to use a company vehicle. Two Maids and a Mop, for example, allows you to use your own vehicle or have your employees use their own with mileage reimbursement. Recession Resistance While residential cleaning services tend to be an expendable cost that is typically cut during hard economic times, businesses such as hospitals and schools see cleaning as a necessity, not a luxury. As such, you're services will always be in-demand so long as you keep a portion of your business with commercial clients. Franchises like Office Pride Commercial Cleaning Services and Aire-Master of America offer commercial cleaning services for a variety of clients. Aire-Master of America offers scent marketing and odor control for offices, showrooms, and company restrooms. Office Pride Commercial Cleaning Services sells janitorial services, green cleaning options, and total floor care for all types of flooring. Cleaning That You Want To Do Don’t like cleaning up people’s personal spaces? Maybe residential cleaning isn’t for you. Enjoy light amounts of cleaning, like organizing desks? Office maintenance might be right up your alley! Cleaning franchises often offer different types of services, ranging from residential cleaning to post construction cleanup. For example, ImageOne Facility Solutions sells window washing, carpet cleaning, post move cleaning, and even daily janitorial services. Others, such as Executive Image Building Services, offer extra services like landscaping, lawn maintenance and even snow removal on top of their regular cleaning services. There are also specialized cleaning services like Oxi Fresh Carpet Cleaning, that focus solely on carpet cleaning. When considering cleaning franchises there are a lot of options to consider! And the nice part is, that with so many options, you should be able to find a cleaning franchise that aligns with your interests and business goals. Transition Your Current Business If you currently have a cleaning business or work independently as a cleaner, you may be able to transition your independent business to a franchise. You would keep your own clients plus gain additional customers through your new brand. Bill and Crystal Staggs, Office Pride Commercial Cleaning Solutions franchisees, converted their cleaning business, Clean Keepers, to a franchise. They were able to shift existing cash flow to account for the incoming expense of becoming franchise owners, while still keeping their current clients. No Need for Advanced Education or Industry Experience Don’t have much cleaning experience beyond your home but still want to enter the industry? Not a problem. Franchises offer full support and training when you become a franchisee. This training can include everything from understanding cleaning standards to marketing to accounting and more. Many companies also host yearly conferences where franchisees can come together to learn new skills and talk with one another about their businesses. Franchisee Network Even if you start your cleaning franchise without employees, you’re not doing it alone. 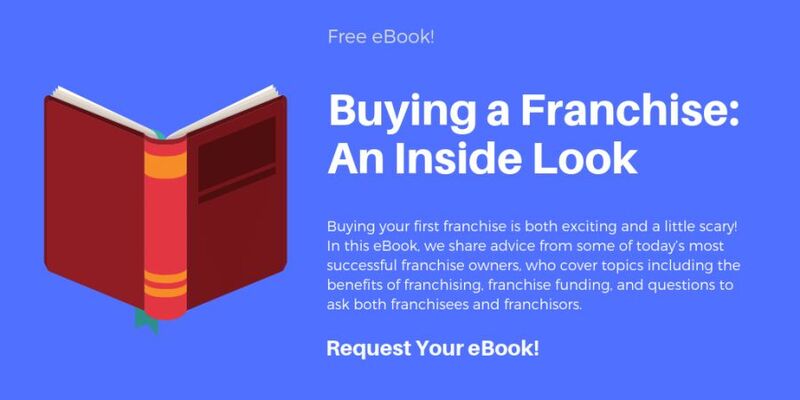 Buying a franchise, instead of starting your own business from scratch means, you’ll have access to a network of other franchise owners who are facing similar challenges and opportunities. Starting your own business can be intimidating and there’s a lot to think about, but with franchising, you don’t have to do it alone! One of the greatest benefits of buying a low-cost franchise, like a cleaning company, is the ability to self-fund the costs. The initial investment for half of the franchises on our list is roughly equal to the cost of a car! However, because each brand will offer different levels of support and benefits, as well as different levels of brand awareness, the startup costs for each franchise will vary. With cleaning franchise costs so low, you may be able to purchase your cleaning franchise using personal savings, a loan from family or friends, credit cards, or a combination of the three. Soliciting advice from other franchisees prior to purchasing may also give you other ideas on how to fund your business. Ash Gawande, who is a veteran and franchisee of ImageOne Facility Solutions, funded his franchise using his retirement savings. He was given a veteran discount from ImageOne Facility Solutions and was able to start his business with only $15,000 in startup costs. If you are interested in exploring franchise ownership, the next step is to figure out which cleaning franchise brand is right for you. Or, maybe after reading this, you’ve decided against a cleaning franchise. Luckily, there are thousands of other franchises opportunities across nearly every industry. Whatever your decision, you can use our Top 200 Franchise List to narrow down all your franchise options and make a decision that is best for you!